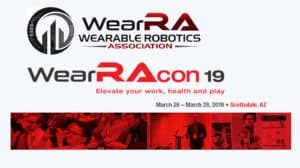 The first day of the largest wearable robotics conference for 2017 brought the CEOs and representatives of nearly every single major exoskeleton company! 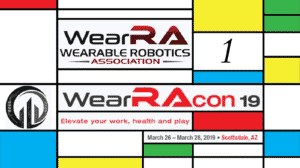 April 19, 2017, marked the opening day of the second Wearable Robotics Association Conference or WearRAcon17. 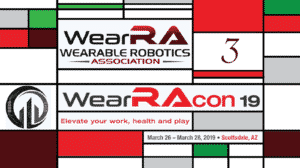 Organized by the Wearable Robotics Association, this year’s conference has a unique focus on exoskeleton devices. Unlike most conferences, however, WearRAcon17 doesn’t focus only on the technical achievements but instead puts emphasis on the end user with panels and discussions on claim verification, marketing, and even business strategies. Dr. Homayoon Kazerooni, SuitX (US Bionics), kicked off the first keynote presentation with an overview of the work his team has done in medical and industrial exoskeletons. 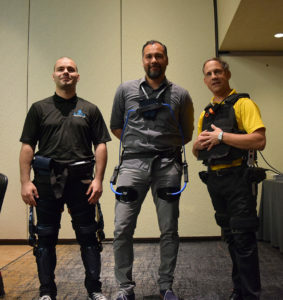 Kazerooni’s team distinguished itself last year by releasing not one, not two, but three industrial exoskeleton devices, the backX, legX, and shoulderX. SuitX has a design philosophy on placing the user first which has led to some unique features in these exoskeletons. First, these industrial exoskeletons are completely compatible with standard construction harnesses. Variations of the backX can come with its own safety harness or be attached to an already existing one. Second, the three exoskeletons can be combined as needed, up to a full body leg-torso-arm exoskeleton in order to provide a customizable solution for the worker’s needs. Second up to the plate was Dr. Gery Colombo, the CEO of Hocoma, the maker of the Lokomat and largest manufacturer of fixed frame exoskeletons. Years ago, he saw that the problem with rehabilitation was not the patient, but the limitations of the physical therapist. He set out to create a powerful system that aids physical therapists in delivering longer, more intense and precise physical rehabilitation. The first Lokomat system was introduced in 2001 and in Dr. Colombo’s own words, initially, people thought it was crazy. There are now over 800 devices in active use around the globe and there are more than 300 published articles referencing the Lokomat. A curious tidbit from Dr. Colombo was that their mobile frame assistive device, the Andago, can and has been used in combination with mobile exoskeletons (an image of the Andago and what looked like the Bionic Leg by AlterG was part of the presentation). The Laevo v2.5 receiving media attention. 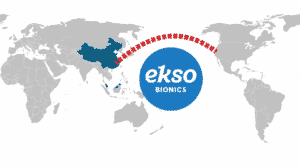 Following Ekso’s presentation was a truly remarkable discussion by Scott Schneider and Roland Auberger by the prosthetics manufacturing giant Ottobock. Scott and Roland presented and reflected on very similar topics but from two completely different points of view. One, represented research & engineering while the other presenter viewed the same information from the lens of marketing and long-term business planning. This was further expanded into a great panel discussion with questions from the audience. All of the above happened even before lunch was called, and represents a snippet of just half of the first of three days of WearRAcon17. 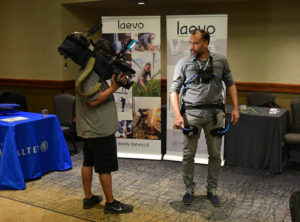 The remainder of the day was filled with presentations, breakout sessions, a video demo of the AnyBody virtual simulation tool (www.anybodytech.com) and many opportunities to network or just talk exoskeletons. 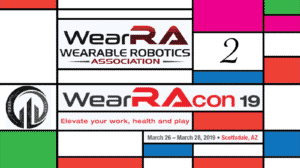 WearRAcon17 Day One was not just for wearable robotics developers. For example, representatives of BMW, Boing, and Intel held two separate panel sessions sharing their experiences with evaluating exoskeleton technology and some guidelines on what can accelerate the process of adoption. Day of WearRAcon17 was a smash! Stay tuned for highlights from days two and three. 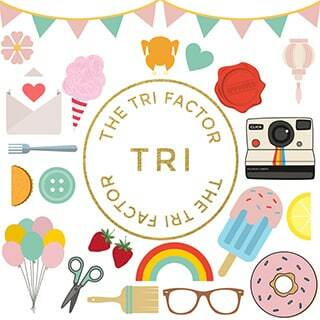 Be sure to follow our Instagram account for even more images! Wish I could have made it. Social media from the other companies are exploding from this event. Maybe next year George! 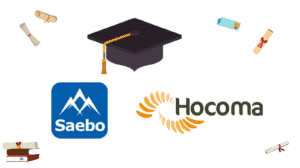 There are representatives from so many of the larger exoskeleton companies. I have literary started counting which of the major players in the industry are not here because it is a much shorter list.